The renowned wine scientist, writer, and taster Emile Peynaud remarks, towards the end of his book on The Taste of Wine, that “thanks to the astonishing diversity of wine styles, one can always be sure of finding one (or even several) that will go with a given dish, with a few exceptions.” Chocolate is one of those exceptions. 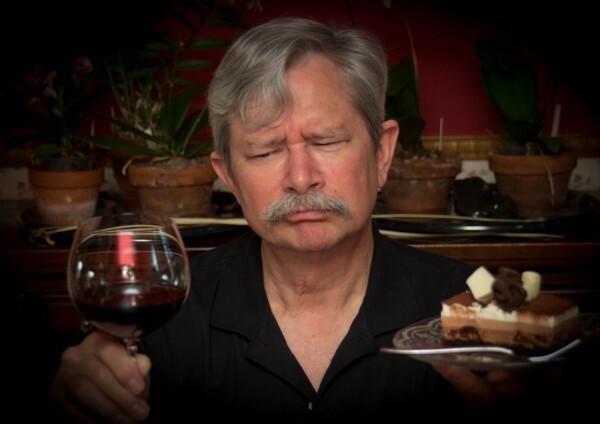 He admonishes that chocolate desserts are “to be avoided” with wine, and “chocolate mousse above all.” Unfortunately, a lot of people seem not to have listened. Wine and chocolate is a classic pairing either to love or to hate. Boutique chocolate makers looking to market their products and wineries looking for a fun Valentine’s or Mothers’ Day event love it, but a lot of wine lovers (including W. Blake Gray, who thinks that the romance factor is overdone, and Remy Charest, who just thinks wine and chocolate don’t taste good together) wrinkle their finely-tuned palates at the idea. I’m going to explain the science behind why I think that my favorite beverage and my favorite dessert make a bad team. Wine and chocolate have a lot in common that might not be obvious at first glance. Indeed, they’re a bit like a mother-daughter team: they don’t get along well because, in some ways, they’re just too darn similar. Both are concentrated sources of flavonoids (a class of polyphenol), some of the compounds that give wine its backbone, chocolate its bitterness, and both their deep red-purple color (yes, there is red-purple in chocolate, though it’s far more pronounced in unprocessed cacao than the oxidized browns of Dutched cocoa). Most of the flavonoids that give cacao its astringency degrade during fermentation—ripe cacao pods are fermented just after harvesting to help remove the pulp from the beans and to improve the beans’ flavor—but enough still remains to give finished chocolate a bit of an edge. Hence, dark chocolate with a high percentage of cocoa liqueur (and therefore relatively little sugar) has a bitterness that’s an acquired taste in much the same way that structured (think lots of polyphenols) red wines are an acquired taste for most people. We all know that most red wine is rich in tannin, but so is chocolate. Cocoa powder actually contains more tannin than black tea. So, if you’ve ever thought that a piece of chocolate made your red wine taste more “dry,” there’s a good explanation behind your experience. Tannins, and flavones in particular, are part of what make a wine feel “dry;” they quite literally bind to the proteins that help make your saliva viscous, pull those proteins out of solution, and therefore make your mouth feel less moist. Your salivary glands constantly replenish the saliva in your mouth, but tannins still have a cumulative effect over short periods of time. If the tannins in your bite of chocolate have just precipitated some of your salivary proteins, your next sip of wine will precipitate more proteins and make your mouth feel drier than had you just sipped the wine and skipped the chocolate. The acid in wine doesn’t do chocolate any favors, either. Tannins feel more astringent in acidic environments. Chocolate is slightly acidic—pH around 5.5—but wine is much more so with a pH somewhere closer to 3, so the presence of acidic wine in your mouth may make the chocolate taste more astringent, too. Chocolate is bitter, astringent, and sour. Red wine is also bitter, astringent, and sour. Together, they reinforce the bitterness, astringency, and sourness of each other, and that’s not a good thing. White wine tends to be even more acidic than red wine, so the chocolate will taste bitterer and the wine will taste sourer. Yuck. Of course, chocolate is also fatty and nearly always sweet, and these qualities probably have more impact on wine-and-chocolate pairing than anything else. It’s no secret that heavy red wines work well with fatty foods. Phenolic compounds in red wine (including tannins) stimulate the flow of saliva, and so does ethanol; that extra saliva, along with the beverage itself, helps wash away tongue-coating fats and “refresh” the palate. 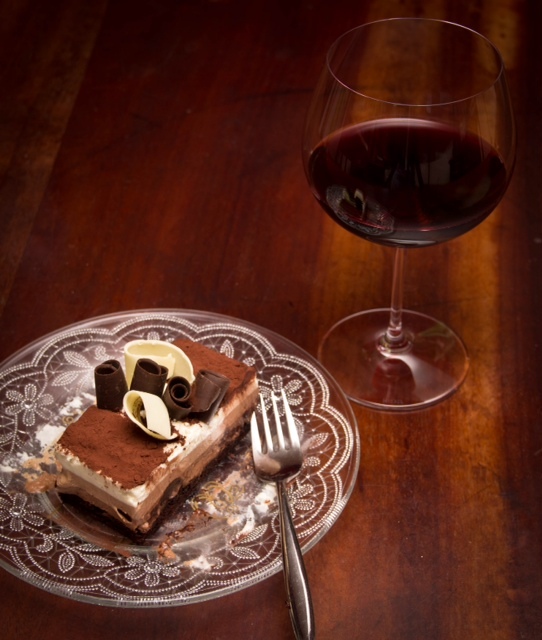 A sip of wine might help wash away some of the heaviness of a rich chocolate dessert in-between bites, but the poor wine will almost certainly taste thin by comparison. Sugar presents its own challenges, but chocolate is no different from any other food here. A sweet chocolate paired with a less-sweet wine will make the wine taste sour just by comparison. Port and dark chocolate are a classic and delicious combination in large part because most Port is about as sweet as most dark chocolate. Milk chocolate doesn’t work as well because it tends to be significantly sweeter. 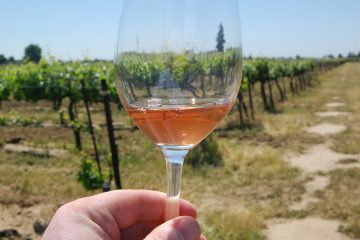 It’s worth considering that even dry table wines have a certain “sweetness” to them. We perceive ethanol as sweet all by itself, and we also tend to associate the fruitiness in wine with sweetness even when the wine has zero residual sugar. A cherry-bomb Zinfandel that clocks in at 16% alcohol might have enough sweetness to stand up to a plain 80% bittersweet chocolate bar, and I actually do enjoy that combination; chocolate is one of the few foods with enough body and sweetness to stand up to a wine that big. Just don’t be surprised if that pretty, balanced 13% Merlot you put on the table to drink with your chocolate mouse cake tastes vinegary after a bite of the sweet dessert. Another reason why white wine and chocolate aren’t friends: white wine tends to be higher in acidity and lower in alcohol than red. Last but not least, there’s temperature to consider. Good chocolate is best appreciated when you allow it to melt a bit in your mouth. In fact, chocolate is often tempered so that it melts as close to body temperature as possible. Melting the chocolate rather than just chewing it allows more of the chocolate to come into contact with the taste receptors on the surface of your tongue, and flavors in general are enhanced at warmer temperatures, too. But even a red wine cooled to an appropriate 60-65°F is significantly below body temperature and will cool down the interior of your mouth, causing your next bite of chocolate to take longer to melt and dampening the release of its flavors. A nicely-chilled glass of white wine is even worse. In the end, though, wine is much more about personal preference and the joy of experience matters than molecules and rational explanations. If you like to drink wine with chocolate, then drink wine with chocolate. The usual guidelines for food and wine pairing can apply here as well as anywhere else: like flavors with like, balance weights and textures, or go for a contrast if you’re feeling avant-garde. The American chocolate-maker Scharffen Berger —co-founded, incidentally, by John Scharffenberger of the Californian sparkling wine producer of the same name—suggests specific varietal pairings with their various dark chocolates based on weight and fruitiness: Zinfandel with a 70% bittersweet bar, for example. The same rationale leads the Scharffen Berger folks to suggest their 41% milk chocolate bar with a citrusy Sauvignon Blanc, to which my only reply is “blech.” The acidity in the wine, the sweetness in the chocolate … I’d rather skip the chocolate altogether, and that’s saying something for this chocolate-loving girl. I’m with Peynaud on this one. I agree with Peynaud many times, but not this one. Never tasted a Recioto della Valpolicella? This sweet red wine from dried grapes calls for chocolate! Well, ok, not all the Reciotos currently on the market are good with dark chocolate (the only chocolate I consider); many times it’s a matter of style of winemaking. It’ s very difficult to find a really amazing Recioto. But it exists, trust me. And when you have it, with the right chocolate, it’s a paradise! I do in fact love dark, sweet red wines — Recioto della Valpolicella included, and Port more commonly — but that isn’t what most wineries are offering when they advertise wine and chocolate tasting days. The single time that I’ve attended a Port and chocolate tasting, it was a beautiful thing. But Port and other sweet reds are really a different animal than the dry or nearly dry red and white table wines to which I’m referring above. I’ll leave the chocolate wine on the shelf, thanks. I enjoy eating cheese and crackers together, too, but that doesn’t mean that I wan’t to buy those little pre-filled “cheese”-and-cracker sandwiches. I agree that it’s a very difficult pairing, but I’ve tried many and in the end, I think a small number of wines really do work with chocolate! I’ve posted some videos of my experiments with white and red wines on Unwined TV, at http://www.unwined.tv, if you’re interested! Finally someone gets it! I have hosted dozens of winemaker dinners and I always cringe when the restaurateur pairs one of my reds with a chocolate dessert. For my own entertaining, I like to pair my chocolate desserts with a glass of my house-made nocino. The alcohol acts as a solvent, the sweetness balances with the sweetness of the chocolate and interestingly enough, the tannins from the unripe walnuts harmonize beautifully with the flavenoids of dark chocolate. Nice job, Erika. Not everything we love has to be paired. I love baseball, and I love the act of love, but it has never gone well for me when I try to combine them. Wine must be a joy, not an obligation! While I quite agree that wine and bar or piece chocolate doesn’t often work, I find that chocolate baked goods are a different story altogether. Not only is the temperature differential removed from the equation, but there’s also (usually) some tempering of the sweetness factor and smoothing of the chocolate’s tannins. I didn’t fully “get” wine-and-food pairings until the day I happened to have an unfrosted brownie with a glass of Lungarotti Giubilante (red blend). It was…joyous. nutritional preference influences the construction of reality when two food sources rapidly follow each other. this is why the dessert wine always has to be slightly sweeter than the dessert. port can follow espresso, but espresso cannot follow port or it will be wretchedly bitter because your mind constructs the experience to teach you something about identifying nutrition. this mechanism isn’t always correct and ends up influenced by many illusions such as sensory convergence (sweet aromas).